I was sent some of the new colors from Piggy Paint recently to try out. 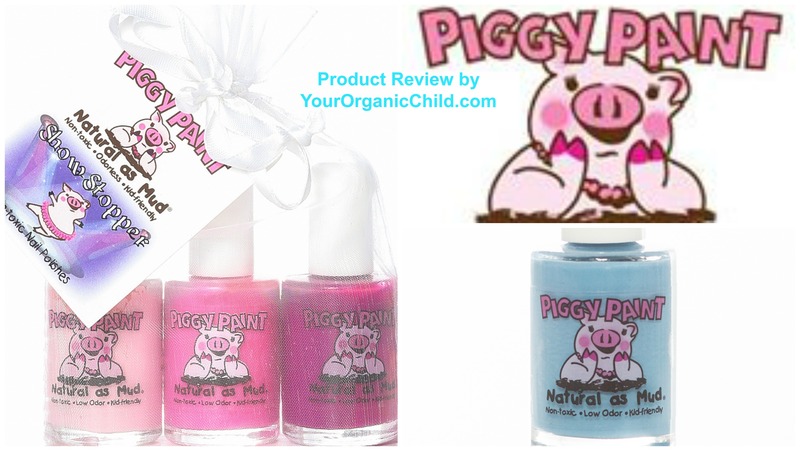 I have used Piggy Paint i nthe past and have always loved the quality and how natural the products are. Actually Piggy Paint polish is the only polish I buy because of how natural the products are and how nice the colors are. My daughter and I loved the new colors they sent us, the set is called Show Stopper. Show Stopper are 3 different shades of pinks from a pale pink to a dark pink. We were also sent their new top coat and a blue shade called Bubble Trouble. 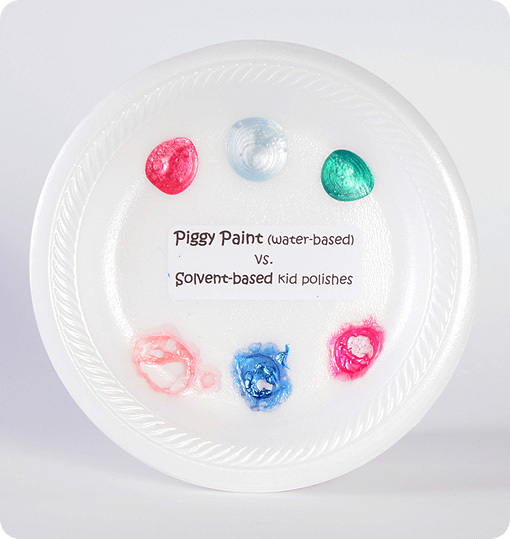 Below shows the difference in what Piggy Paint and regular drug store brand polish does to a styrofoam plate. After you look at that, do you really want to use that drugstore brand on yourself or your child? We love Piggy Paint! We feel it is safe and perfect to have around for kids to use. It’s safe for them to use themselves and adults will love the colors too.